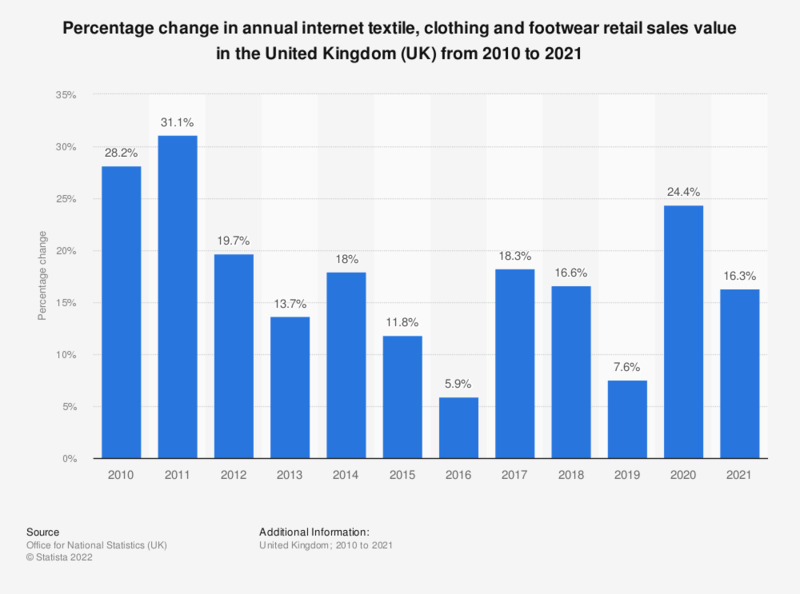 This statistic displays the annual trend in the value of retail internet textile, clothing and footwear sales in the United Kingdom (UK) from 2010 to 2016. In 2015, internet retail sales of these products were up 11.8 percent on the year previous. Includes retail sales at "Textile, clothing and footwear stores."